A pulse detonation engine (PDE) is a cyclical operation engine analogous to the World War II pulse jets. This engine fires cyclically resulting in an intermittent firing engine. The engine consists of an acoustically tuned pipe fed a detonatable mixture inside that, when ignited, sends the combustion products wave traveling down the pipe ahead of a detonation wave. After the products exit the tube, the tube is effectively scavenged, new fuel is then injected and a new mixture forms, sort of reloading the tube. The ignition process is then repeated, starting a new cycle. This periodic operation gives the PDE a characteristic cyclic rate and the characteristic sound that, in the V-1 case, gained it the nickname of "buzz bomb''. A comparison of the pulse detonation rocket engine (PDRE) or pulse detonation engine (PDE) with today's standard rocket and turbojet cycles can show the potential of this propulsion system. A PDRE is a cylindrical tube with a defined length. The PDRE is an intermittent internal combustion/detonation engine with three strokes, namely injection, detonation, and exhaust, as shown in Figure 4.24 (see the color section). The PDRE is characterized by mechanical simplicity, and high compression ratio compared to continuous combustion engines. PDE/PDREs have the potential to significantly reduce the cost and complexity of today's liquid-pro-pellant rocket engines. PDE/PDREs present novel alternatives to current gas turbine and/or rocket engines. The PDE/PDRE has the potential to provide dramatic improvements in both costs and performance for space propulsion applications. This is due primarily to the fact that detonations provide a more efficient mode of combustion over the conventional constant pressure approach of current engine technology. Large reductions in pumping, plumbing, and power requirements would also be possible with the PDE/PDRE. The self-compressing nature of the detonation combustion would dramatically reduce the need for massive oxidizer/fuel turbopumps. Pump pressure is 10 atmospheres not 300 atmospheres. Corresponding reductions in plumbing structural requirements and pumping power would be available with the PDE/PDRE. Practical engineering issues and subsystem technologies need to be addressed to ensure that this potential is realized. The PDE/PDRE possesses a significantly higher power density than conventional rocket designs. Detonation combustion produces large pressure increases in the combustion chamber (over and above those produced by pre-combustion turbopumps), creating large thrust forces at the chamber thrust wall. The result would be a very high thrust for an engine of equivalent dimensions as today's state-of-the-art propulsion systems, provided of course that the repetition rate were sufficiently high. Alternatively, an equivalent amount of thrust could be generated with a more compactly designed PDE/PDRE. Because additions in PDE/PDRE load-bearing structure do not increase proportionally with gained chamber thrust forces, the PDE/PDRE also would possess a much higher thrust-to-weight ratio than current chemical rocket engines. As shown in Figure 4.24 (see the color section) the basic cycle has one detonation wave traveling down the tube. One way to increase the thrust is make a multiple-tube engine [Norris, 2003] as is being developed by Pratt & Whitney. Note in the referenced article the detonation wave tubes are shown alone, which is satisfactory for sea-level testing. 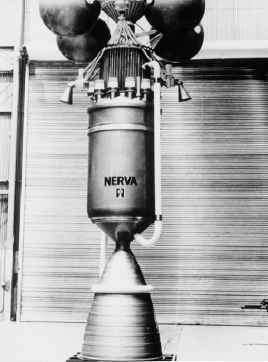 In all of the work done on PDEs for this chapter they were equipped with expansion nozzles just as a rocket engine would be, as shown in Figure 4.26. Another approach is to operate the detonation wave tube so there are multiple pulses traversing the tube [Norris, 2003]. The flow characteristics in a pulse detonation engine have been modeled previously using a variety of methods including zero-dimensional, one-dimensional, and two-dimensional unsteady analyses. All three of these levels are useful, but provide different types of information. Zero-dimensional analyses provide fast, global parametric trends for the unsteady operation of a PDE. One-dimensional models provide a first indication of the dominant wave processes and the manner in which they couple with the overall engine/vehicle system at a cost that is intermediate between zero- and two-dimensional models. Two-dimensional models have the capability of identifying the dominant multi-dimensional effects and their level of importance. However, multi-dimensional modeling requires a substantial investment of computational resources. Some specific areas of PDE/PDRE operation are inherently dominated by multi-dimensional phenomena and the only way to address these phenomena is by modeling the entire multi-dimensional process.